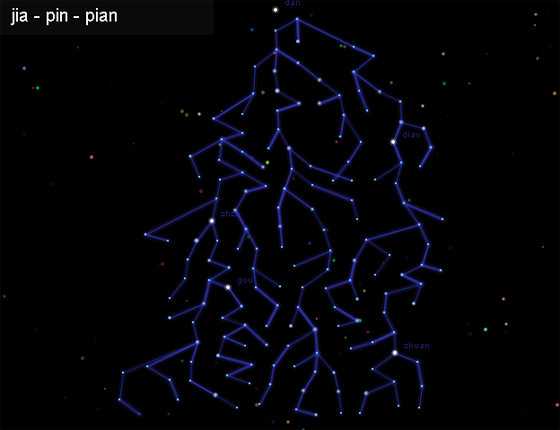 This visualization attempts to programmatically generate randomized constellation diagrams with interesting visual dynamics. 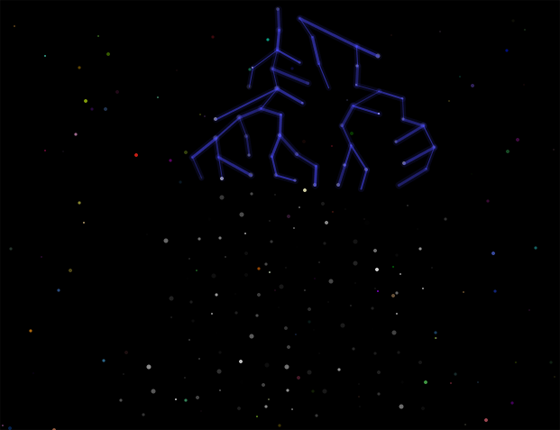 The visualization begins by painting the canvas with randomized points. These points are stored in a two-dimensional array for reference. An image detection algorithm is then run against a random source image of a known object -- or symbol -- to seed a two-dimensional array of reference points. This array serves to constrain the target points between which constellation lines are drawn. To add further visual interest -- and complete the effect -- a varying number of points on the canvas will be labeled with randomized names. This visualization is not interactive. 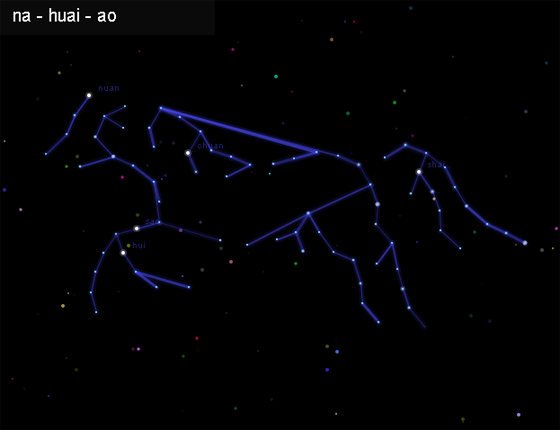 Each constellation will be displayed for a few seconds before the process repeats with a new set of random points.